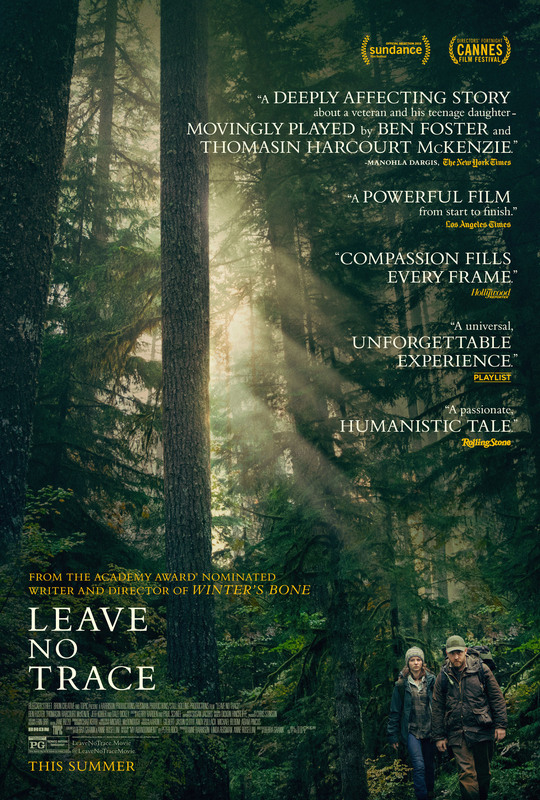 There is something perfectly low-key and realistic about Leave No Trace. This is a film about a clear, fractured relationship and the growing apart of two people but it does not rely on huge emotional, dramatic moments to brings this to life. Instead, Leave No Trace takes it’s time. It builds the characters and develops the small moments so that you are invested without there being massive scenes with huge drama. 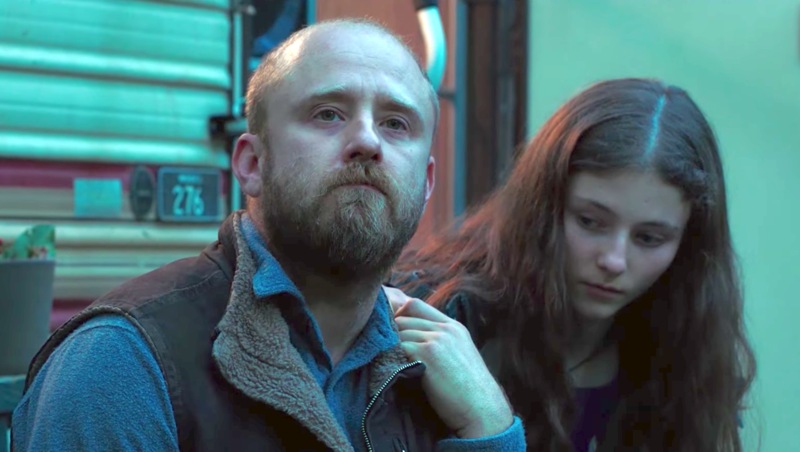 The two characters involved are father and daughter Will and Tom, played by Ben Foster and Thomasin McKenzie respectively. They live in a National Park and forage for food, camp every night and survive off the wilderness. They have connections with the “normal world” but choose to live off the grid. The opening establishes this well but also does a good job of not creating two people who are disconnected from reality either. They aren’t detached from society in an archaic sense but just choose to live away from the rest of the world. Circumstances force them to join the rest of the world and cracks in their relationship begin to show. Their needs are clearly different and the reasons behind their previous choices begin to surface. None of this is done in a hugely obvious, grand-standing way though and there is very little exposition. Instead, the subtly of the performances and the slight reactions to each new development means that you get all the story you need and all the explanation that is required. This is down to the great writing which has faith in it’s characters and it’s leads to deliver. Foster and McKenzie are superb. Foster plays a troubled, proud and shaken war veteran who clearly struggles with a form of PTSD while McKenzie plays the daughter who is beginning to recognise how her life could be. It is McKenzie’s film and at times she holds the whole movie on her young shoulders and gets the more emotional and dramatic moments. The performances feel so real and the characters are written in such a realistic way that each new development in the story packs an emotional punch. You are willing for the two characters to do well and get what they want but also understand that this will undoubtedly never happen. Where it leads is to one of the best, understated but perfectly pitched conclusions to a movie that exists today, with five words holding more meaning than any well-written, well-acted dramatic speech. Overall, Leave No Trace is a masterclass in letting the characters drive the story. It trusts the circumstances and the smaller moments to mean so much more in the long term. This pays off with an incredible conclusion that weighs heavy with emotion.